“Fortunately, ‘Nothing gold can stay’ doesn’t apply to great literature,” says Entertainment Weekly. We couldn’t agree more! April 24, 2017 marks the 50th anniversary of THE OUTSIDERS’ first publication. Introduce a new generation of listeners to this classic story of friendship and belonging. 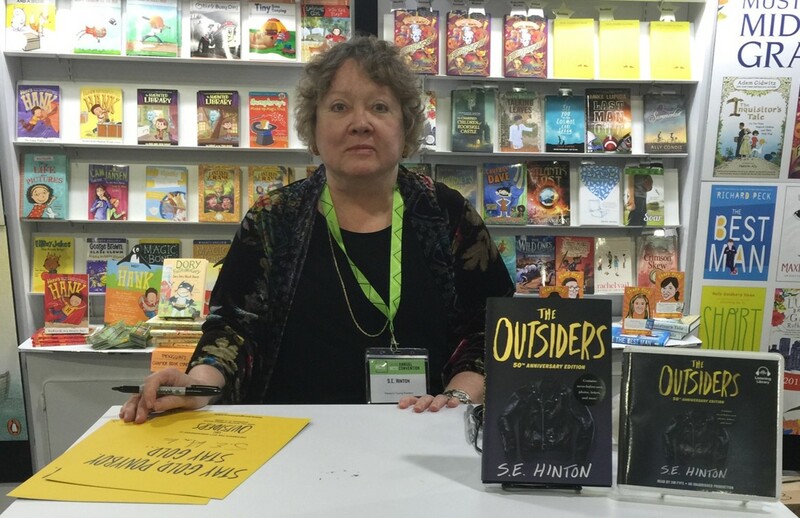 With its honesty and grit, S. E. Hinton’s groundbreaking story immediately resonated with teens when it was first published in 1967 and fifty years later, this powerful story is as fresh and realistic to teens as ever. THE OUTSIDERS is a moving depiction of Ponyboy, a Oklahoman teen who finds himself on the outside of society and at odds with the “Socs,” a vicious gang of rich kids whose idea of a good time is beating up “Greasers” like Ponyboy. S.E. Hinton wrote THE OUTSIDERS at age 15, while growing up in Tulsa, Oklahoma, where the story is set. She lived in a borderline neighborhood, mixing with both greasers and Socs. In 1988, she received the inaugural Margaret Edwards Award from the American Library Association for her cumulative contribution in writing for teens. Bonus Fun Fact: What’s on S.E. Hinton’s bookshelf? She named The Lost City of Z as one of her recent favorites! Read her full interview with EW here. Find more classics available on audiobook here.